I got nothing. Have any other details? Was it in color or black and white? Did you see in it a movie theater or on tv? around what year? I believe it was in colour, and they were wearing white dresses. I saw it on tv, must have been 2002 or something close to that, maybe even earlier. I believe there was a scream as well, when the scenes changed. I’m not sure whether it was about Cleopatra, but it was somewhere warm though. Sorry, nothing comes to mind. The link that Michael posted gave exaclty the scene I’m searching for – so now I’m going to watch it until I find it, it should be there! So don’t worry about it, I’ll let you all know when I still need your help ;). A poison scene is listed. I believe that is what I’m looking for! Do you know where I could find the entire movie? Without getting viruses? Found the movie, now just the part and we’re done :D.
I just saw the scene, thank you so much Michael! No problem at all, my dear. Keeping NBI happy is one of life’s unsung pleasures. Oh stop it you :D.
Based on the description, it seems like your memory was pretty spot on. The basic items were the same, everything else turned out to be different though :). Yeah, it was Michaels link who helped me out, but I’m still glad that you posted the link as well, I appreciate your effort! So still thanks ;). Yay you got your answer! Funny how memory can change minute details. One of the reasons eye witness testimony can be so risky to rely on. Sounds like you remembered the important stuff though! Yeah indeed. I always seem to be confident about my ‘good’ memory, but this is a good reminder of how much you can change things. It’s nice to see it again though :D.
Damn I was too slow to read the post! Haha, good thing, then it would have been helped out even when no one else could! I like this movie already and I’m not even halfway. She’s so stunning! It sounds like a really interesting book but I’m afraid that will be a hard one to find again indeed… Good luck though! Hahaha, yeah! It’s like with guys they say, ignore them and they come crawling at you ;). Hahaha! This reminds me of my brother. Sometimes he will call me to find out the name of a song that he only remembers one line from. But he is a bit of a stoner. Haha, okay :D. But that’s not too weird, right? I’ve got that too sometimes… But one line is enough to find it again mostly :D.
It happens to all of us. I keep trying to find this movie where a little girl walks up the stairs and down a hallway running a pizza wheel along the wall. It’s creepy. Sounds creepy indeed… Try searching in the horror part of the movie world I’d suggest ;). Just a little… But still thanks to read :D.
Her wardrobe there is AMAZING. Indeed! I’m always watching her clothes, they are so very elegant and beautiful… And the actors are great too, with nice dialogues and so on. Such a good movie! 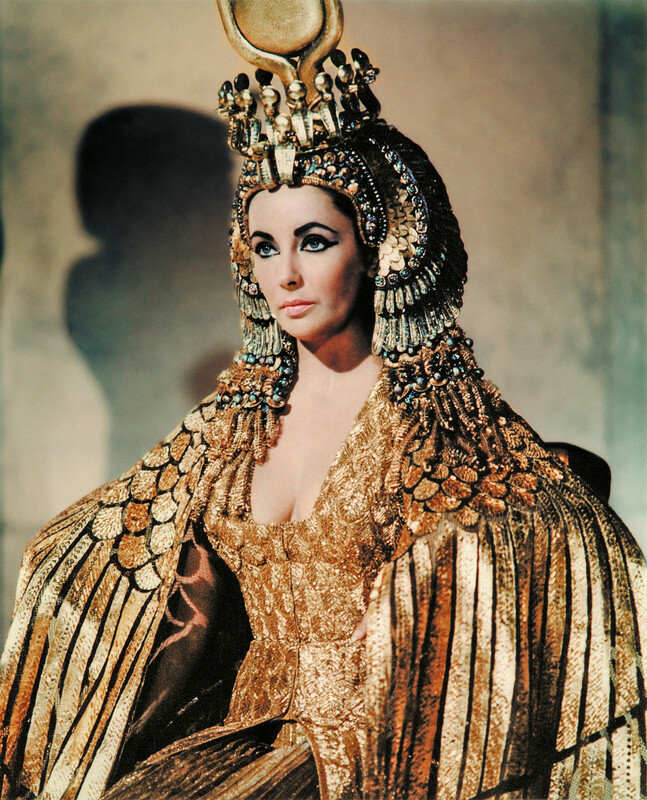 I just came across this blog now because– wait for it– I had googled “cleopatra poison servant” and was looking for the same exact scene that you described! I was a young kid too when I first saw this scene; I was probably around 6 or 7 and I must have walked into the living room when my dad was watching the movie. At the time, I remember feeling bad for the servant (I felt she must have been told by someone more powerful than herself to carry out the plan and she just seemed so helpless) and at the time, I couldn’t understand why she didn’t just fling the cup away and try to escape. Haha. Anyways, that was the only scene I remembered from this movie too, and tonight the memory came back to me and I was trying to find what movie it came from (IMBD doesn’t really mention the scene). It’s so weird how this particular scene had such a lasting impact on both of our memories! I just wanted to share that story with you and thank you for clarifying which movie it was from. Cheers! Ah great! Thanks for telling me this! I’m glad that I could help in a way 😀 It’s not always easy to find the source of your memory again – it’s mostly quite deformed, and try to explain it…!